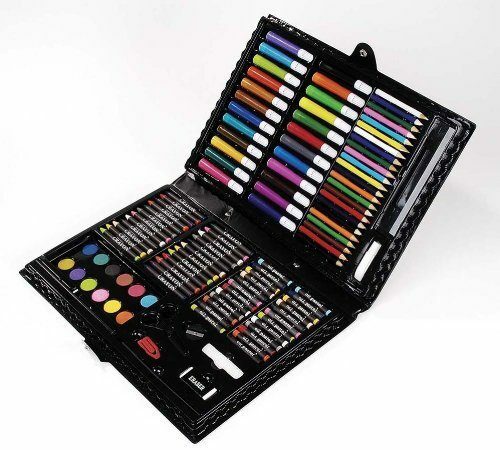 Darice 120-Piece Deluxe Art Set Only $9.45 (Reg. $70) + FREE Prime Shipping! You are here: Home / Great Deals / Amazon Deals / Darice 120-Piece Deluxe Art Set Only $9.45 (Reg. $70) + FREE Prime Shipping! Have a little one who likes to draw and paint? Feed your child’s creativity with the Darice 120-Piece Deluxe Art Set , on sale for $9.45 (reg. $70)! And, you’ll get FREE shipping with Amazon Prime or Super Saver Shipping! This would make a fantastic Christmas gift and will keep your little artist busy for hours!